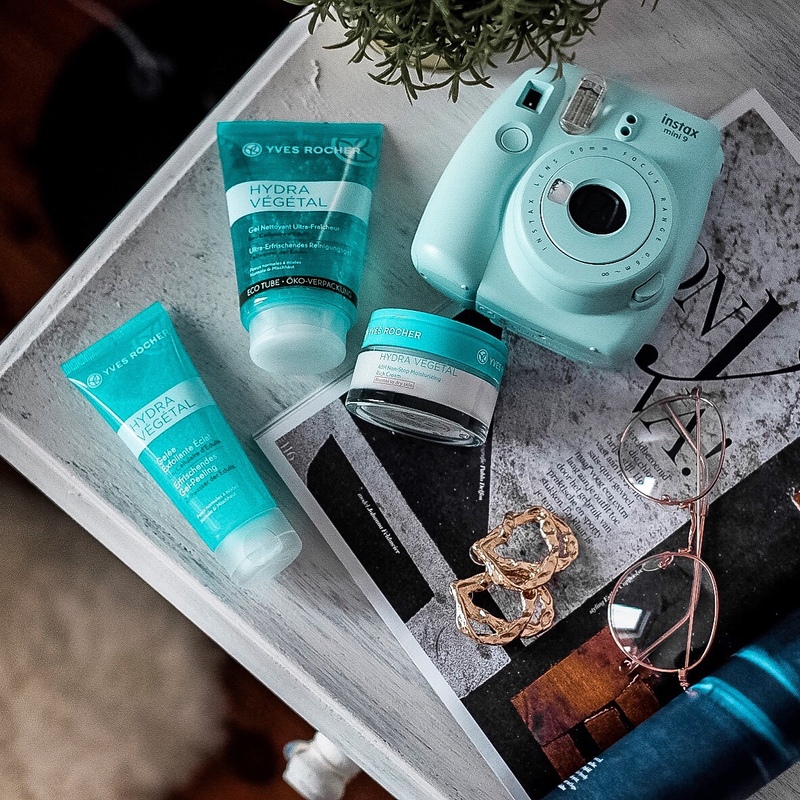 Every skin needs a good hydration, both in the morning and at night. Hydra Végétal by Yves Rocher is a skincare line that already exists for a few years. They reinvented the already exciting line by adding cellulaire water of Edulis. I received a few products of the range to test and I’m back with my findings. I received this super cool package from Yves Rocher in honor of world water day, just to put hydration into the spotlight. I, as a flight attendant, need lots and lots of hydration. Not only by drinking tons of water but also to put on my skin. You know, to keep it wrinkle free and stuff.Now the thing that scares me the most when it comes to hydration is that I’m always afraid it will cause breakouts. Stupid right? Well, I did get a lot of breakout moments but not Ì’m not sure if it was due to the products or because I was a temporarily chocolate addict (thanks easter bunny). I have never tried many products of Yves Rocher. Why? I have literary no clue. I just seem to be a bit skeptical, what I shouldn’t need to be! As far as I can remember I have tried and loved 1 products in the past years. The serum végétal night cream. It truly has been a favorite of mine for the past 2,5 years. I stopped using it because I started blogging and received so many products to test. I do miss using it though. Anyway, back to the point: hydra vegetal. I received 3 products from the skincare line: the gel wash, peeling & day/night cream. The scent of these products is fine. Nothing really over the top. Although these products might be amazing for other skin types, for me it didn’t really work out. I do like the gel wash! It feels good on the skin. The peeling is a bit rough on my skin personally. I have an extremely sensitive skin and I couldn’t scrub well because it just started hurting. I also felt like the peeling dried out some parts of my skin, giving red dry spots. The day/night hydration cream was great but too greasy on my skin. Just let me mention here: I do have a sensitive/combination skin. This cream would me amazing for people with a dry to very dry skin! Overall opinion: great products but just not for my skin. If you have a dry to very dry skin: you’ll love it!